Background/Purpose: Prevention of rheumatoid arthritis (RA) was the aim of several clinical trials performed in undifferentiated arthritis (UA). Overall these trials had negative results. As preparatory work revealed that only ~30%, of UA-patients develop RA, we hypothesized that inclusion of patients with a low-risk on this outcome, could dilute a possible positive effect and therefore result in false-negative results. This problem has been described in other fields of medicine and re-analysis of the data after post-randomization exclusion of non-informative patients can be a solution to this problem1. We therefore re-investigated the PROMPT-trial2(1-year course of methotrexate (MTX) versus placebo in UA) after post-randomization exclusion of patients without a high risk on developing RA. Methods: A validated prediction model3was used to determine the risk on RA in all patients included in the PROMPT-trial. Patients with a PPV≥84% (prediction score ≥8) were selected and the efficacy of methotrexate was re-evaluated; similar to previous analyses the primary outcome was progression to RA according to the 1987-criteria during 5 years of follow-up and the secondary outcome was drug-free remission. Results: Of the 110 included patients, 22 had a high-risk on RA according to the prediction model. In the MTX-arm 6/11 (55%) developed RA after 5 years of follow-up, compared to 11/11 (100%) in the placebo-arm (p=0.011). The time to RA-development was longer in the MTX-arm (median of 22.5 months versus 3 months in the placebo-arm, p<0.001). Drug-free remission was achieved by 4/11 (36%) of patients in the MTX-arm and by 0/11 (0%) of the patients in the placebo-arm (p=0.031). These beneficial effects of MTX were seen in both ACPA-positive and ACPA-negative high-risk UA-patients, but not in ACPA-positive nor in ACPA-negative UA-patients without a high risk on RA-development. Conclusion: Analysis on patients with a high risk on RA revealed that a 1-year course of MTX delayed and prevented RA-development. This emphasizes the importance of adequate risk prediction in trials that aim to prevent RA. 1. Fergusson D, Aaron SD, Guyatt G, Hébert P. Post-randomisation exclusions: the intention to treat principle and excluding patients from analysis. BMJ 2002;325(7365):652–4. 2. van Aken J, Heimans L, Gillet- van Dongen H, et al. Five-year outcomes of probable rheumatoid arthritis treated with methotrexate or placebo during the first year (the PROMPT study). Ann Rheum Dis 2014;73(2):396–400. 3. van der Helm-van Mil AHM, le Cessie S, van Dongen H, Breedveld FC, Toes REM, Huizinga TWJ. A prediction rule for disease outcome in patients with Recent-onset undifferentiated arthritis: How to guide individual treatment decisions. Arthritis Rheum 2007;56(2):433–40. Disclosure: L. E. Burgers, None; C. F. Allaart, None; T. W. Huizinga, None; A. H. van der Helm-van Mil, None. Burgers LE, Allaart CF, Huizinga TW, van der Helm-van Mil AH. Clinical Trials Aiming to Prevent the Development of Rheumatoid Arthritis Cannot Detect Prevention without Adequate Risk Stratification; A Trial Performed in UA-Patients As Example [abstract]. Arthritis Rheumatol. 2016; 68 (suppl 10). 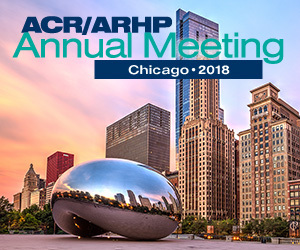 https://acrabstracts.org/abstract/clinical-trials-aiming-to-prevent-the-development-of-rheumatoid-arthritis-cannot-detect-prevention-without-adequate-risk-stratification-a-trial-performed-in-ua-patients-as-example/. Accessed April 19, 2019.